Welcome to Included, which catches you up on the week's top stories about culture and diversity in business and tech. This week, we look back on the NFL protests, the latest on women's rights in Silicon Valley, Saudi Arabia's historic decision and the German election. 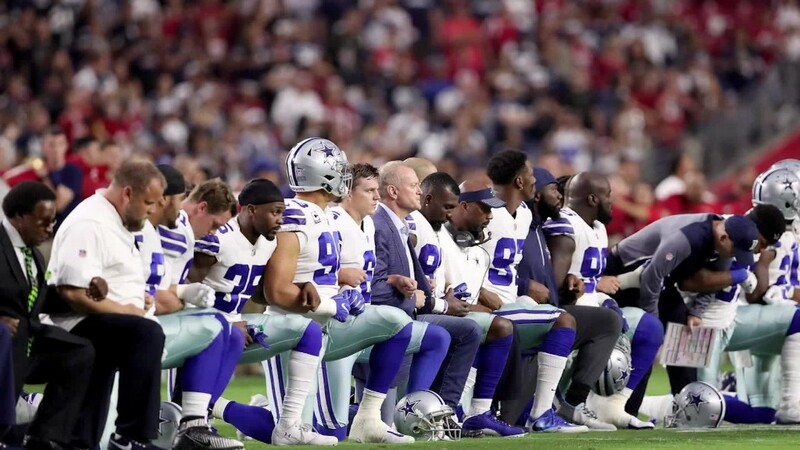 The NFL rallied to put on a united front after President Trump said athletes who took a knee during the national anthem should be fired. Since then, nearly 200 NFL players stood during the anthem. Team owners linked arms with players. Many sportswear brands, including Nike and Under Armour, quickly issued statements in support of athletes (and the flag). But not everyone is buying the show of unity. "They're forgetting why this whole thing has happened," Spike Lee said in a CNN town hall. "If they want to unite the players, Colin Kaepernick should have a job in the NFL," Lee said echoing a popular argument that the former San Francisco 49er quarterback has been "blackballed" for speaking out against racial injustice. Kaepernick began taking a knee while playing for the 49ers last year to protest police brutality against people of color. Since then, he's inspired fellow athletes, eight-year-olds and even law enforcement to do the same. But the Kaepernick is still out of a job. Since becoming a free agent, none of the league's 32 teams has signed him. He was also noticeably absent from Sports Illustrated's latest cover featuring basketball stars Stephen Curry and LeBron James linking arms alongside NFL commissioner Roger Goodell. Curry, who called the cover "terrible," said, "if you don't have Kaepernick front and center on that, something's wrong." Men are increasingly speaking out about rampant sexual harassment that has been plaguing the tech industry, according to a report in The New York Times. "Those leading Silicon Valley's gender equality push said they were astonished that just as the movement was having an impact, it opened up an even more radical men's rights perspective," writes the Times' Nellie Bowles, noting an apparent growing interest in men's rights organizations. Yet some argue the march for gender equality at work has become over-exaggerated or even unnecessary. Saudi Arabia issued a historic decree on Wednesday aimed at boosting the number of women in the workforce. "We need them to move forward," said Prince Khaled bin Salman. "We need them to be able to drive to work." 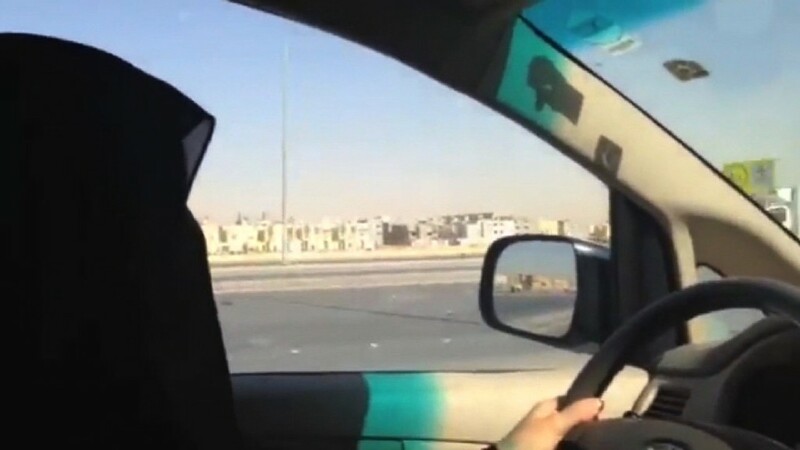 The move is less likely to be welcomed by Saudi Arabia's 1.4 million male chauffeurs, many of whom drive women to work, reports CNNMoney's Zahraa Alkhalisi. While the kingdom has pulled back on other gender restrictions, there's still plenty that women can't do without permission from their male "guardians," including get married or divorced, travel or open a bank account, notes CNN's Jamie Tarabay. Was Germany's election about inequality? Germany is Europe's richest country, and it was the world's third-biggest exporter last year. 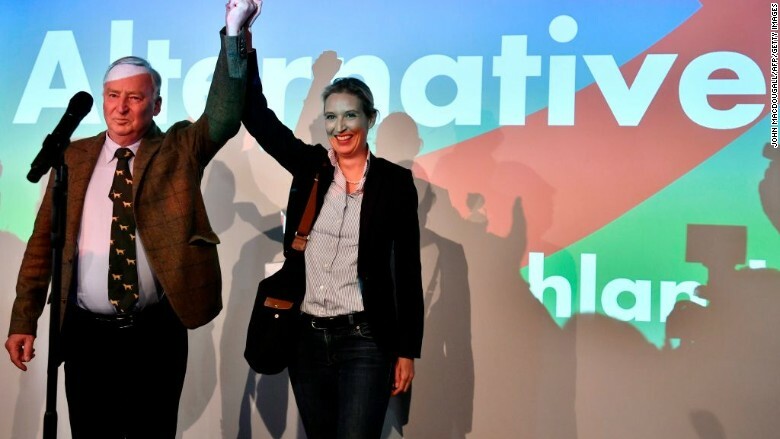 But income disparity has widened, and many were reminded of that after Alternative for Germany became the first far-right party to win German parliamentary seats in nearly six decades. • "The number of Germans at risk of slipping into poverty is the highest since the country was reunited in 1990." • While incomes for Germany's top 10% shot up by as much as 27% between 1991 and 2014, those of the country's poorest households have fallen by 8%. • The country's top 10% also owns 60% of Germany's assets. "We have enough money in this country for everyone," one food bank volunteer told CNN. But there are "more and more food banks."